Have you ever wanted to do ruler work on your home sewing machine? 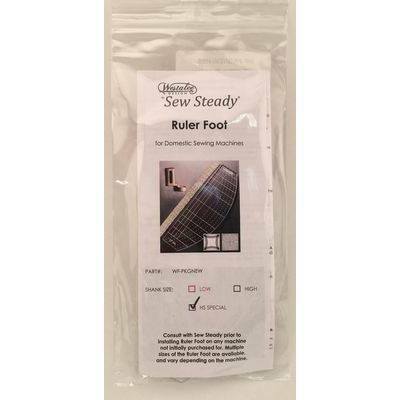 You don’t need a Long Arm Quilting machine anymore; all you need is the Westalee Sew Steady Ruler Foot. The ‘fence’ of this foot rides up against the Westalee ruler template, creating beautiful free-motion quilting motifs. Use a Westalee ruler template (we have many available) and both the size and the shape of your free motion motif will remain consistent while you quilt. As long as your needle is positioned in the center of the Ruler Foot, your stitches will form exactly 1/4 inch from the edge of your template. 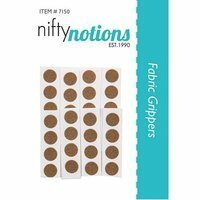 For the best free-motion experience, we highly recommend you also use a silicon quilting mat, extra-long staple quilting thread, a quilting needle, and quilting gloves. Do not use your needle down function while the presser foot is lifted. The Westalee Ruler Foot comes in high shank, low shank, and special high shank. Janome Memory Craft machines can use the High Shank Westalee Ruler Foot.